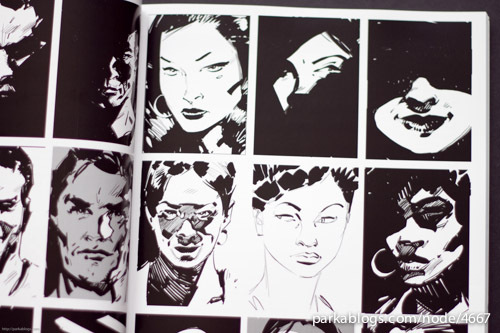 There are probably no other books around that covers composition with emphasis on storytelling as well as Framed Ink. 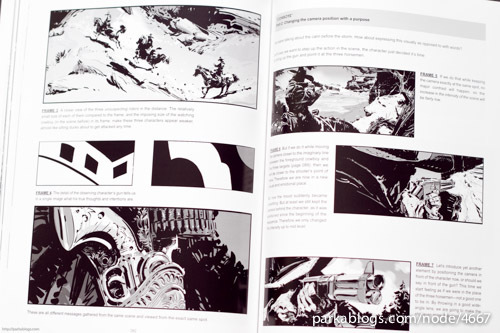 This is a whole book devoted to the subject, as compared to other books (on storyboards) that usually have only one or two chapters. 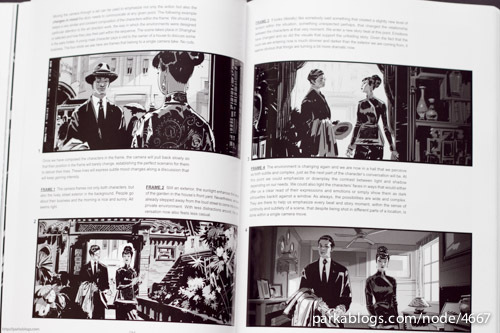 Although the illustrated examples are mainly movie composition, the techniques can be applied to animation, movies and even graphic novels. Every technique comes with a concise breakdown. You get to understand how and why shots are framed in a certain way, or how to create compositions to create a certain mood. 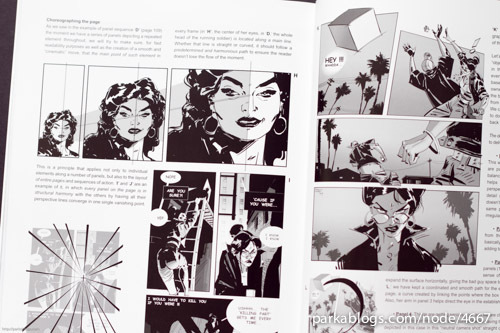 There are also tips on lighting and continuity. 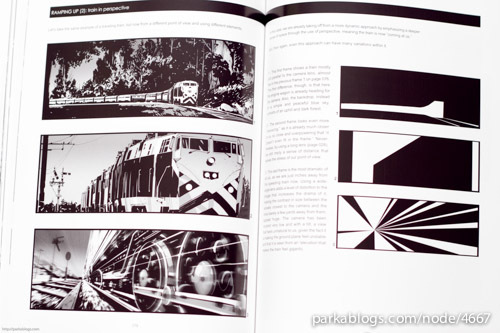 Over 200 beautifully illustrated examples are included. And they are really good examples. Just by looking at the examples alone, without even reading the commentary, you already get a good idea of what's happening. Marcos Mateu-Mestre has distilled his 20 years of experience and knowledge into an accessible package you shouldn't miss out on. This is the essential how-to book for storytellers, or for anyone who needs to put images on screen or on paper. You can check out more of his work at marcosmateu.blogspot.com. i just got this book the other day. its awesome! didn't you already review this though? That was a preview, this is a review. I just finished reading this. It is wonderful. One of those books that you wish you had read ten years earlier. 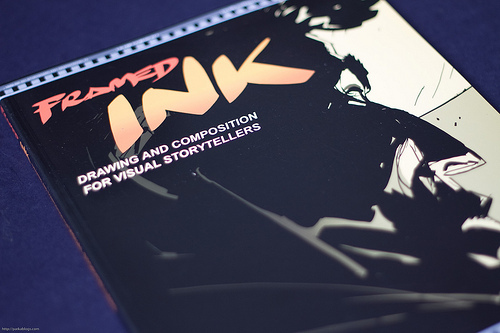 A brilliant resource for any artist! Hi Parka, Thanks for the wonderful reviews. Could you tell us how this book compares with other recent books on composition (such as the one by Don Graham which you also reviewed)? Thanks! 'Composing Pictures' has a lot on the different theories to composition whereas This book has more examples of direct application. I wonder if you can recommend me some book that teaches how to draw from scratch and is quite detailed. Because I want to learn and do not see any book that serves to beginners who have no idea about drawing. The one I always recommend for beginners is Keys to Drawing. Highly recommended. 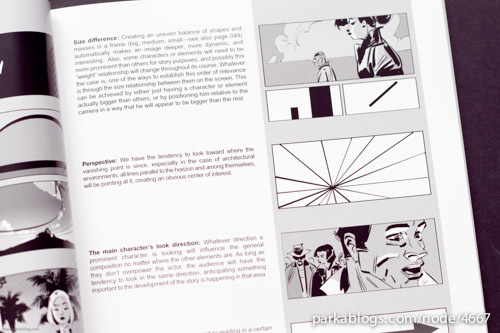 It might add something to layout skills for comic artist or even film makers. Hi, I just bought this book and loved it! 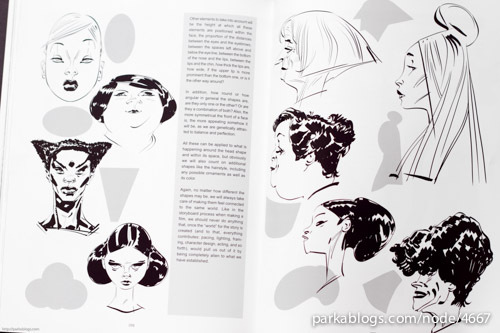 It would be great if you did a post with your favorite books for the formation of an artist.